This summer, maybe you gave prairie dresses a try, or maybe you decided to put that trend on hold. Regardless of your styling choices, we can all agree that ever since this trend popped on the runway and has trickled down unto the streets and fast-fashion racks, there is no stopping it. So, if you think that since fall has just begun you missed your window to give it a whirl, think again. 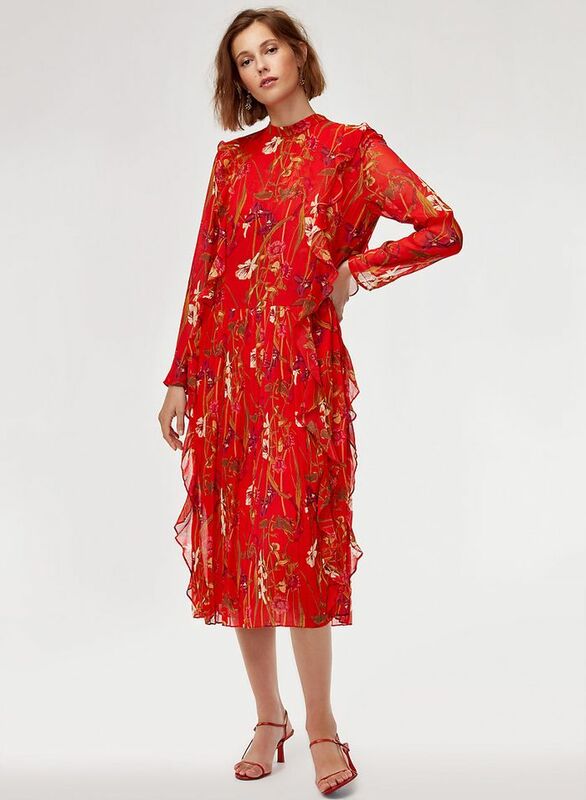 This frock has all the potential to become your second skin for the next six months. So, scroll on to see 15 pretty prairie dresses that may suggest 1800s at first glance but ultimately feel modern and elevated all at once. From ubiquitous florals to gingham or animal print, there's a prairie dress for you. We'll always love a florals-and-ruffles combination. Style this dress with your light layered fall jacket for a cool and cozy look. We highly suggest you pair this dress with cowboy boots for the ultimate Western look. A prairie dress that will make you stand out in business meetings. Naturally, fall calls for plaid. Two of the biggest fall trends combined? Yes, please. We love ourselves a good smocked dress. Whether you wear this dress with pumps or chunky sneakers, this dress is a stunner. A subtle way to dive into the animal-print trend. You can never have enough gingham (or color) in one outfit. The perfect white prairie dress for fall and beyond. Floral dresses, but make it fall-friendly. Don't shy away from color when it comes to prairie dresses. A minidress that can be worn over your fall trousers or your over-the-knee boots. If you describe your style as boho, then this dress is for you. It's okay if you bought two dresses or more (we did too).